SAMPRATISHTA values discipline for it is the foundation of creation. Also, mastery is understanding the world in relation to the self. Unlike other ways of approach, we are a sturdy follower of principles to comprehend the core values of fine arts. In fact, our opulent history is evident in the foundation of our values. Being a part of Sampratishta will allow you to learn from the world-renowned experts. Moreover, you will be able to derive aid subservient to your own views. We do not look forward to wasting your precious portion of life in mindless imitations of other people's modes of representation. Sampratishta encourages profitable employment of time in unleashing your own vision. Besides, the courses offer you a unique opportunity to unravel your talents in a city that has beguiled artists for decades. Here, you will develop a hefty foundation in Art technicalities and flourish your creativity through a meticulously structured art program. In fact, you will have a personal portfolio to trigger confidence in the next level of your artistic career at the end of the course. Moreover, we are accepting, diverse, passionate and looking forward to bringing out the best in you. Visual arts is a journey on seventh heaven. In fact, it only demands passion and commitment. Needless to say, the most vital law of happiness is self-belief. Besides, all original painters rely chiefly on themselves. Art expresses ideas more powerfully than written language. Thus, ensuing individual passion will guide you for the rest of your life. ‘If you take shortcuts, you get cut short’. Sampratishta School Of Fine Arts & Design transforms the notion of Visual Arts Education to a higher tier. 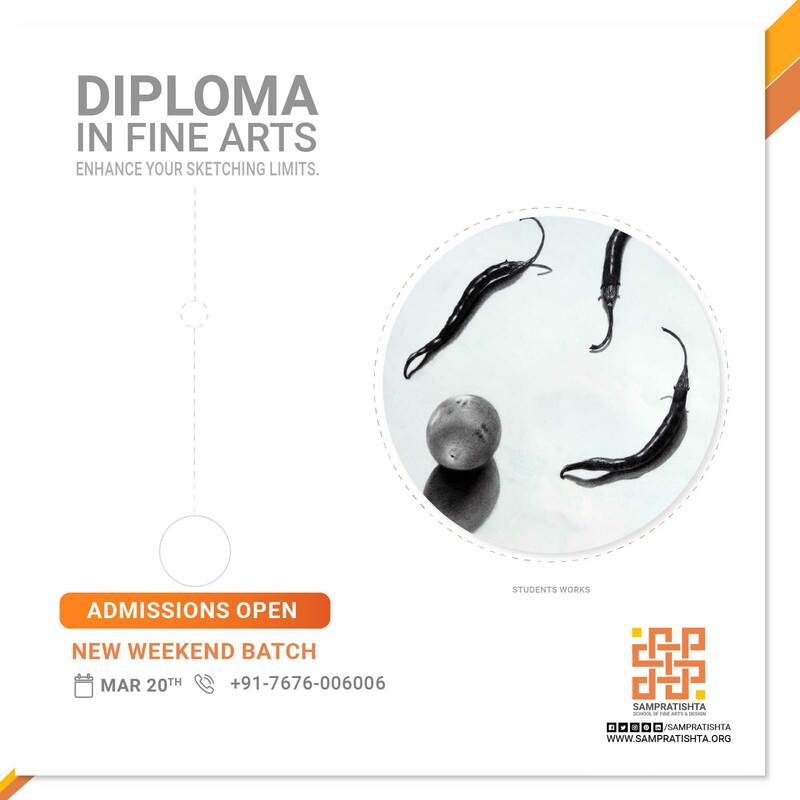 Sampratishta School Of Fine Arts & Design provides short-term diploma courses with two modules in visual arts. Also, the courses are similar to any full fletched two years diploma course in fine arts. Besides, we have specialization in watercolor painting. Kindly view the course section for more details. Sampratishta being one of the top colleges in Fine Arts around Bangalore provides watercolor specialization courses. Specialize in watercolor painting with Master Sadhu Aliyur. Needless to say, he is one of the most prestigious watercolor artists of all time. Helping to build an artist in you! READY TO UNLEASH THE ARTIST IN YOU?